This year’s World Usability Day (WUD) theme is “design for good or evil”. Digital design has a huge impact on the usability and usefulness of anything and everything. This is especially true for those people living with disabilities. At its worst, bad design prevents users from doing the things they want to do on websites. However, at its best, good design can provide everyone with a positive user experience. World Usability Day, also known as Make Things Easier Day, was established in 2005 to promote the values of usability and to encourage design that makes technology easier to access and simpler to use. WUD is observed annually all around the world. It brings together communities of professional, industrial, educational, citizen, and government groups to ensure that the services and products important to life are easier to access and simpler to use. Websites are not usable unless they are accessible. Web accessibility is mainly focused on technical requirements for underlying code and functionality of user interactions, to ensure that people with disabilities will not experience any limitations or be excluded from using the web. Many accessibility requirements however, can also improve usability for users without disabilities. Avoid flashing graphics, as they can be a distraction for users. Display a link to a site map to facilitate locating information easier and quicker for users. Provide a visual focus indicator for currently selected links, buttons, form fields, etc. Visual focus indicators assist users who rely on keyboard navigation to navigate websites. Properly identify style components such as headings, bulleted and numbered lists to facilitate a better and a consistent access for users. Ensure that links contain some white space between them to assist users with limited hand movement or small screen size to select them more easily. Ensure that all interactive elements can be reached and controlled using a keyboard or keyboard interface. Define contrast between the text color and background color to make it easy for users to read the page’s text. WeCo is proud to be a part of this year’s WUD event. 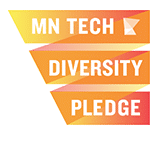 WeCo will be delivering presentations and a demonstration at the University of Minnesota’s World Usability Day 2018. 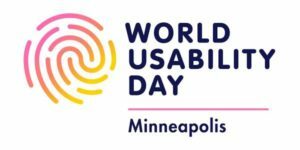 If you would like to learn more about this event, which will take place on Thursday, November 8, from 8:30 am to 4:30 pm, please visit the following link: https://it.umn.edu/events/world-usability-day-2018. 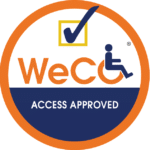 For a complete list of WeCo’s training events, visit our Eventbrite page.